My nephew is here! Isaac James arrived safely early in the morning on July 18. He and his mama are doing well and everyone is getting settled into their new routine. 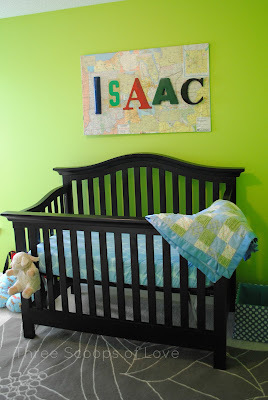 I was waiting to share a glimpse of his nursery until he had arrived. 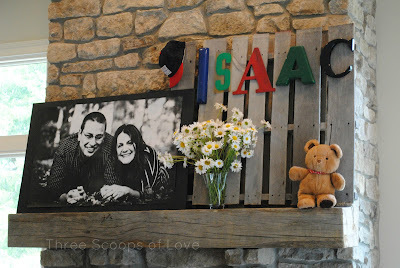 At my sister-in-law's shower, we used these reclaimed sign letters to spell out Isaac's name on a pallet on the mantel. 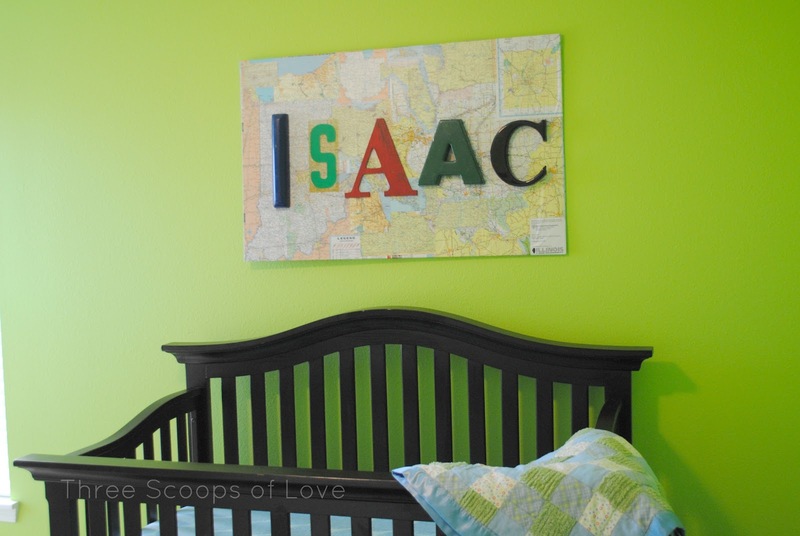 After the shower was over, she took the letters to re-use in his nursery. My brother and sister-in-law bought an atlas at a used book store and decoupaged some maps onto a piece of scrap plywood. Then, they hung the letters on the board with small nails and securely hung the whole thing above his crib. I love that it became even more personal with the addition of the map. I also think that his name is showcased even more with the map board acting like a frame, instead of just hanging them directly on the wall. So cute!